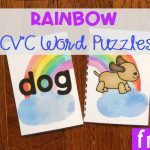 Easter CVCe Words Matching Game - FREE Kindergarten Printables! It’s finally feeling like Spring around here! I love that the weather gets warmer and the sun is out more! We love doing Easter activities in our class, like a BIG Easter egg hunt outside. 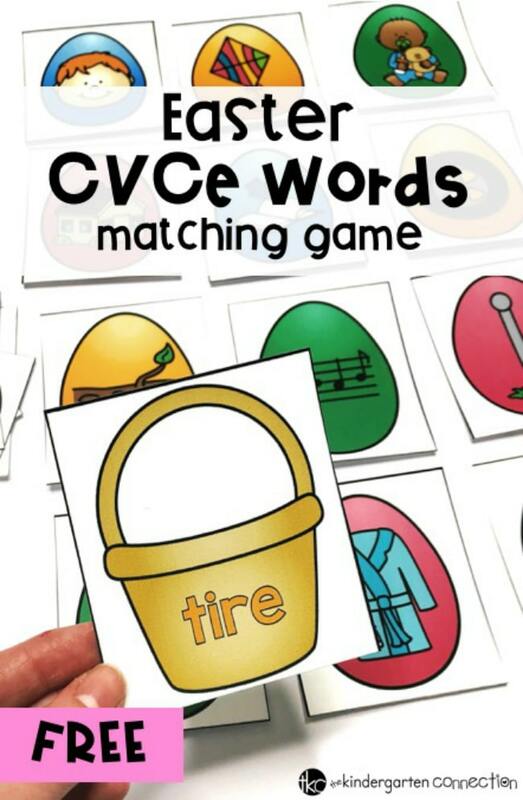 Easter themed activities are always bright and cheery, like this Easter CVCe Words Matching Game I’m going to share with you today. CVCe words are often called Bossy E, Magic E, Silent E or Super E. I always teach my students ALL of the nicknames for CVCe words, because I never know what term their teacher next year will use. I just explain to them that these type of words have many “nicknames” but they all mean the same thing. 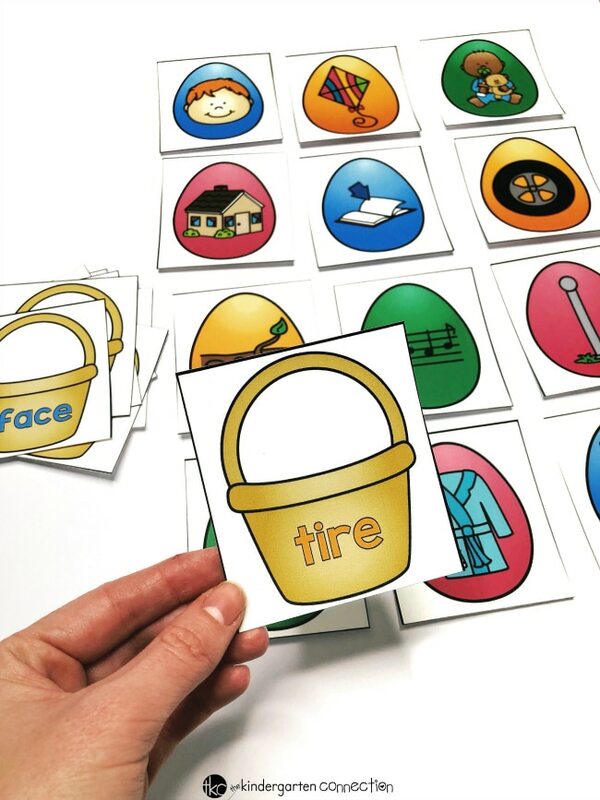 The transition from short to long vowels is a tricky one, so we use lots of hands on centers, like picture sorts, clip cards, and matching games, to help my students understand the difference. 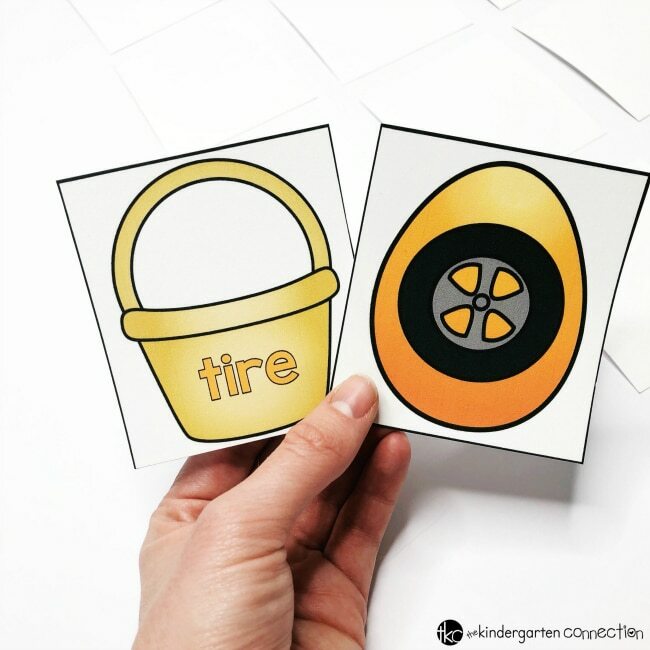 With this activity, students will match the Easter eggs to the corresponding Easter basket, by looking at the picture and reading the word. This free resource includes 30 matches focusing on the a_e, i_e, o_e, and u_e long vowel patterns. 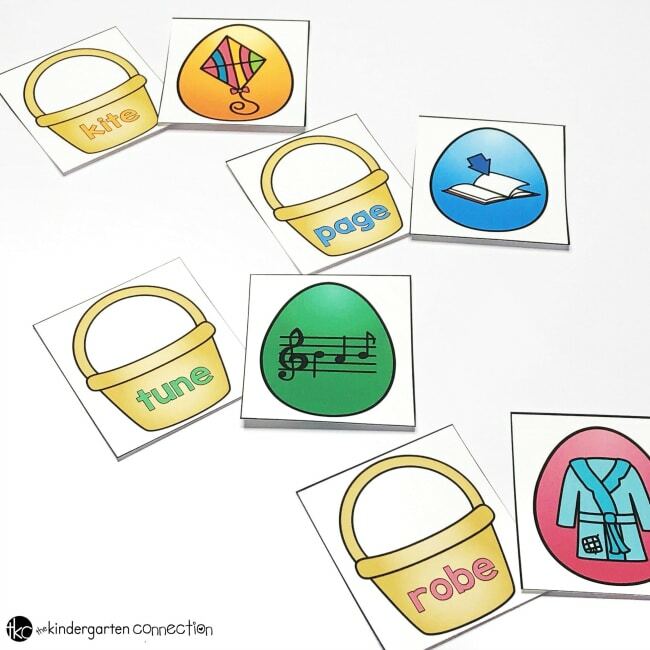 You can choose to do the activity with just one specific long vowel sound or use all of them together! 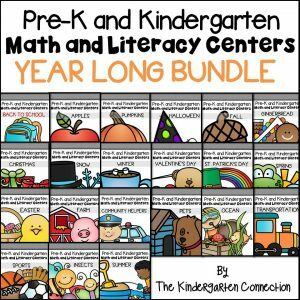 This activity can be used in literacy centers or as a whole group activity. I like use a basket to place the cards in and also laminate the cards for durability. 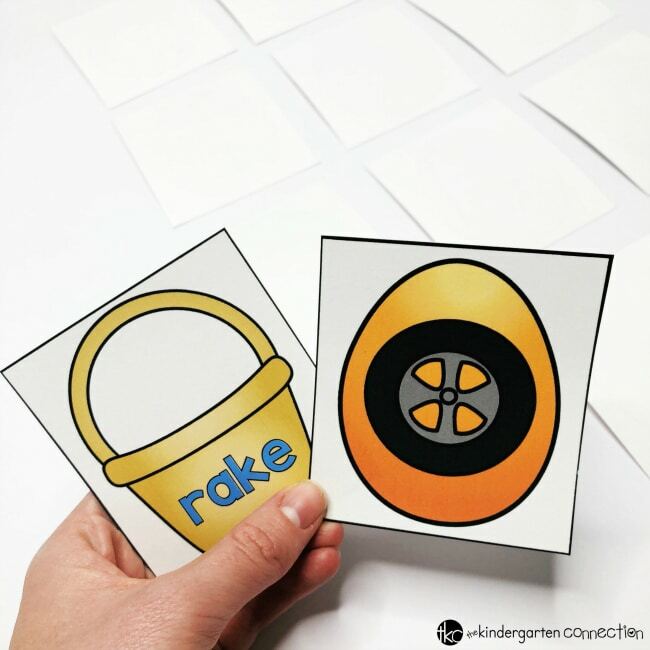 They are self-correcting and color coded, so you know if the egg does not match the basket, it is the wrong long vowel sound and word, like the picture below. One of my favorite ways to use matching cards is with a “find your match” game. I give each student a card- half get the picture card and the other half get a word card. They do not look at their card until I say “Go!” They walk around and pair up with another student and look at the cards in their hands. If the two are a matching word and picture, they give each other a high five and sit down. If it is not a match, they continue on to other students until they find their match. 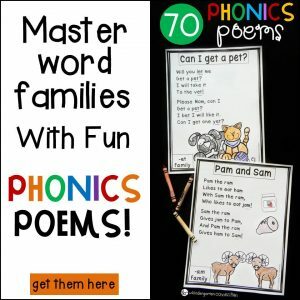 This gets your students up and moving and serves as a great introduction to your daily phonics lessons. 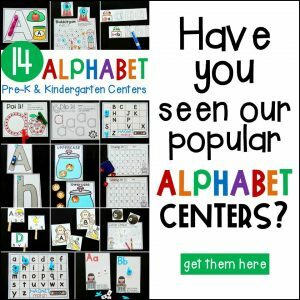 One way to use this activity in centers or small groups is with a matching game. Put all the picture cards face up in rows. Put all the word cards face down in a single pile. Students will pick up a word card, read the word, and then find the picture! To challenge your students, you can also have them use the word in a sentence as part of their turn. 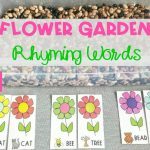 I hope you find this Easter themed activity fun and engaging for your students! 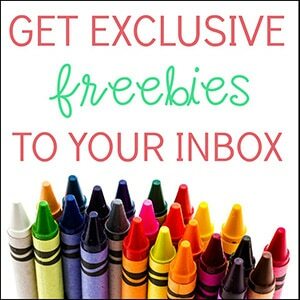 Just click on the large, yellow button below for your free download! 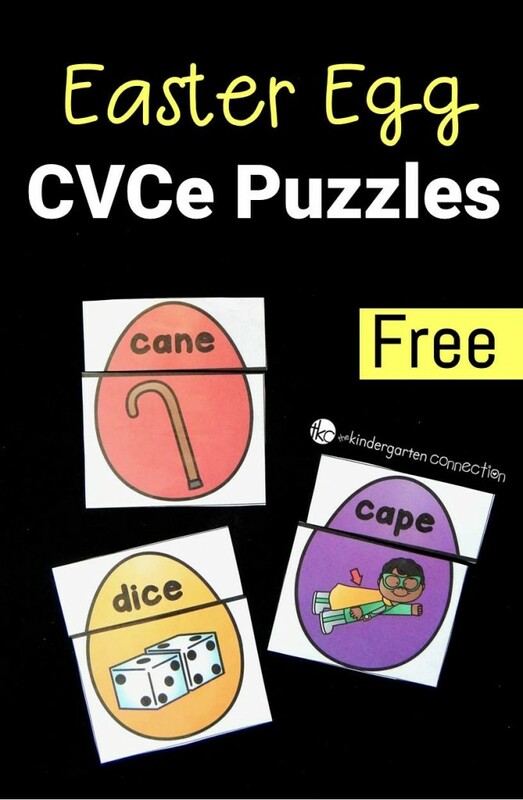 Then, hop on over to see our Easter Egg CVCe Puzzles!